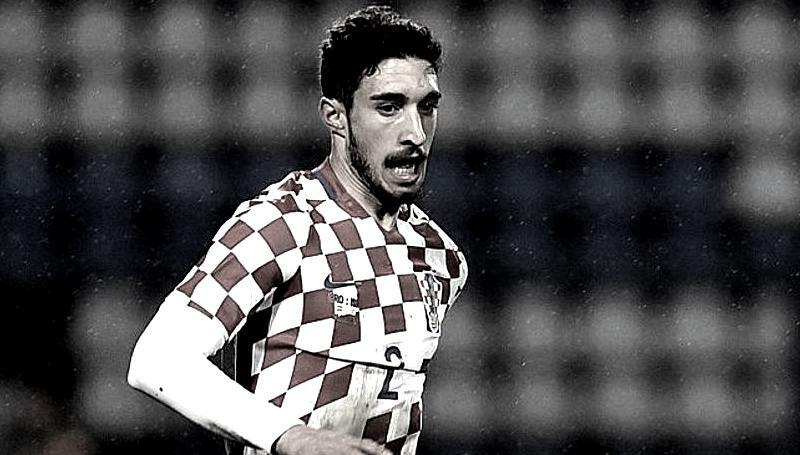 Inter Milan are tracking Atletico Madrid defender Sime Vrsaljko, according to the football transfer rumours in Croatian Media. Sime Vrsaljko has joined Atletico Madrid from Sassuolo for a fee in the region of 16 million euros in July 2016. The 25 year-old has a valid contract with Atletico Madrid until the June 2021. Since his arrival from Sassuolo, Sime Vrsaljko has scored one goal and provided one assist in 17 games for Atletico Madrid. Vrsaljko has also represented Croatia at Under-15, Under-17, Under-18, Under-19 and Under-21 level, winning 36 caps across all age groups and scoring three goals. Since February 2011, he is a member of Croatian national team, winning 26 caps. The 25-year-old is considered to be one of the best right-backs in Croatia. Ex-Dinamo Zagreb defender has been long term target of Stefano Pioli as the manager look to bolster his defensive options for the next season. Euro Football Rumours were informed that Serie A clubs Sassuolo and Genoa are apparently trailing Inter Milan in the pursuit of Atletico Madrid right-back Sime Vrsaljko.